#99acresInsite: What does Bangalore real estate need in 2017? Despite a number of key policy changes announced in 2016, Bangalore’s real estate market evidently suffered owing to several issues. Lack of civic infrastructure, traffic congestion, National Green Tribunal (NGT) order and political crisis pertaining to Cauvery River were the primary factors that negatively impacted the transactions and sales volume in the city. To steer the realty market towards a positive direction in 2017, Bangalore needs a resolution to these issues. 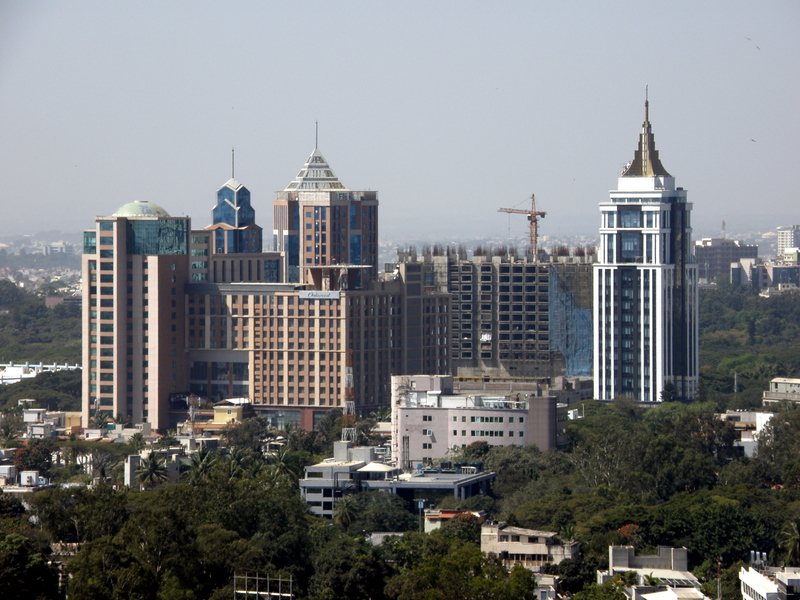 Bangalore has been a lucrative investment destination for migrants as well as the local population for the multitudes of job opportunities and growth prospects in the city. However, in the last few years, the city’s real estate market is depleting, owing to civic and political issues that the residents have been facing. This has curbed residential and commercial expansion and diminished investor interest in the city. 99acres.com lists these issues and shares why Bangalore’s real estate market needs a solution to these. Akrama Sakrama scheme: The Supreme Court’s recent stay order on the Akrama Sakrama scheme has dashed the State government’s plans to issue an official notification about the scheme. In December, the state government extended the deadline for regularisation of constructions with up to 50 percent deviations in residential buildings and up to 25 percent in commercial structures. A recent study revealed that majority of the residential and commercial buildings in the city have deviations higher than 50 percent pertaining to setback area. There is still no clarity if all these constructions are liable for demolition. And if a construction violates the present norms (50% for residential and 25% for commercial), then it is undecided as to which part of the building would be liable for demolition. Haphazard planning, poor infrastructure and poor conditions of roads have long been ignored by the past several governments in Bangalore. Traffic congestion is perhaps, the biggest issue that has remained unaddressed for a long time now. “Apart from creaky roads, the overall planning, delay in the release of CDP (Comprehensive Development Plan) 2031, slow pace of work on Hennur flyover, Namma Metro and road expansions are all adding to the mess,” adds Mehta. The state government and civic authorities together need a quick remedial action to fast-track these infrastructure projects that will improve road connectivity, public transport system and traffic management. TDR policy: The non-clarity on Transfer of Development Rights (TDR) policy since September 2015 by the state government has jeopardised investment of homebuyers thus, causing a delay in several projects. The state government callously administered the two sanctioning agencies - the Bruhat Bengaluru Mahanagara Palike (BBMP) and Bangalore Development Authority (BDA) to hold back approvals for projects involving TDR, till a new policy is rolled out. This has stalled the progress of several projects that are awaiting approval from the civic bodies. Anxious developers and homebuyers expect rollout of the new TDR Policy to accelerate the process of obtaining approvals for projects that are being stuck. Open space norms: To curb rising pollution levels, the Urban Development Department (UDD) instructed developers to maintain 10 percent open space in residential projects across the city but the state government revoked the rule which infuriated environmentalists. The issue is awaiting a final verdict from the Supreme Court and has caused delay to both the developers and homebuyers. High registration fee for brokers: Brokerage firms and independent realtors in Bangalore have opposed the government’s mandate to pay Rs 5 lakh as registration fees for brokers under Real Estate Regulator Act (RERA). The move will hamper the brokerage business in Bangalore that comprises 80 percent individuals while the remaining collaborate with agencies. The government needs to find out a way without hindering the broker community. For years, the rivalry between Karnataka and Kerala over Cauvery River has been a cause of concern. A study conducted recently revealed that most parts of Bangalore are dependent on the water it receives from Cauvery River. Due to water shortage in some parts of Bangalore, citizens rely on water tanks that are expensive due to which, developers made provision for groundwater supply. Bangalore real estate market want a solution to end this dispute between the two cities.